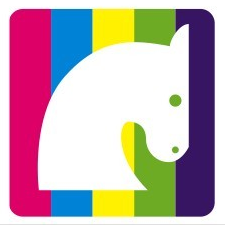 The 2012 PagePlay Equestrian Social Media Awards winners have been announced, but tune in THIS morning for an entertaining wrap-up and a ‘morning radio show’ just for horsefolk. If you’re using social networking and social media for your horsebiz, you’ll find out what’s considered ‘the best of the best’ when it comes to equine industry social media use, hear from some of the winners, AND get your week started with a few laughs. Click here to read more about listening in live, or later…. The 2012 Equestrian Social Media Awards winners will be announced this week via their ‘virtual awards show.’ A different awards video is posted each day, announcing winners from the 30 different awards categories this year. We’ve got the links to watch the videos AND listen to the Horse Radio Network wrap-up next Monday, March 12th. If you’re using social networking and social media for your horsebiz, tune in to find out what’s considered ‘the best of the best’ when it comes to horse industry social media use. Click here to read more about the 2012 ESMAs ‘virtual awards show’…. No Biz Like Horsebiz was down for the count last week, but this week we’re back in the saddle and rarin’ to go! Good thing, too, since where the #&@% did January get to?! The 2012 Equestrian Social Media Awards (ESMAs) are underway, and if you’re responsible for your horsebiz marketing, social media, or community management you’ll want to check them out. Even if you have zero interest in winning your own ESMA (and sorry, there’s no little gold statue for your mantelpiece), what you’ll get is infinitely more valuable…a look at what’s happening in the equestrian world in terms of social media trends, an opportunity to learn from the horsefolk that are modeling the very best in social media ethics and practices, and some ideas for how you can harness social media for your own marketing success. Click here to read more about 2012 ESMA best practices…. Monday Morning Quick Tip – Using Social Media For Your Horsebiz? It’s Awards Time! The horse world is getting used to the idea of embracing technology and social media for marketing purposes. Every week I hear from someone new that’s just started their Facebook page, has launched their own Twitter account, or is considering starting a blog. It’s all good. A few weeks ago at my equestrian expo presentation on social media, I had attendees who were new to social media and some that had gotten started but wanted to improve; one trio included a couple who were the business owners, plus their newly hired assistant who was going to develop their horsebiz social media. All of social media, and how best to use it to achieve your own unique goals, has a learning curve; one way to learn about best practices includes looking at who the ‘movers and shakers’ are when it comes to horsebiz social media, and the Equestrian Social Media Awards provides a perfect opportunity to do it! Click here to read more about 2012 ESMAs…. How Quickly A Year Goes By…. The No Biz Like Horsebiz blog started one year ago today. It’s amazing how fast the days add up to 365…. The blog subscriber base is small but dedicated, with site stats that are going in the right direction (that’s up, in case you were wondering) in terms of both reading and subscribing. Thank you to EACH and every one of my subscribers and readers, and especially everyone who’s taken the time to comment or share in some way. I really appreciate it. I’ve allowed this blog to evolve organically, ‘finding its voice’ along the way and building a foundation for the future. The Monday Morning Quickie (MMQ) posts and 52 Fridays series are proceeding swimmingly, and being shared a bit via social media (thanks, y’all!). The one surprise is how many find my blog through an Internet search for ‘morning quickie,’ something I wouldn’t have guessed when I started MMQ and a good lesson in how you name something and what that name could bring! The last year has brought positive results for readers and mostly ‘boy, that’s useful’ or ‘I enjoy reading’ types of comments and feedback. And a fair amount of s.p.a.m. – the WordPress Akismet tool informs me that it’s blocked 684 s.p.a.m. comments, and I sure am thankful for it! The past year has also brought recognition for Kemp Equine that I’ve shared here, in the form of multiple PR and writing awards, and a Finalist nod in the ‘Best Use of Twitter – International’ category of the first-ever Equestrian Social Media Awards (ESMAs), which didn’t even exist at this time last year. The ESMAs show how much more of the global horse industry is adopting new media, social networking, and technology in getting the word out and connecting folks within the various equestrian communities, across not only geographic boundaries but breed and discipline boundaries as well. Through this blog, you can look forward to equine industry marketing news and information, interviews with relevant experts, and tips and resources to help you reach your customers more effectively and efficiently. There’ll also be links to my articles in horse magazines, plus some fun stuff from time to time. Now that the blog is underway, I’ll be working to build readership and the subscriber list, including more use of social media and some fun stuff. I hope you’ll help me out by telling others or sharing links when you find something useful or valuable in this space. If I could have a ‘one year anniversary’ wish, it would be that the trend of horse industry sharing and connecting continues and grows, that we look for even more ways to invite others into our horsey world and show them not only the beauty, power, and magic of equines, but also how horses and equestrians can, and should, have a place in our fast-paced world. Please feel free share your own wish for the horse world by clicking on the Leave a Comment link below. Thanks for reading and making my first year an enjoyable one! As I’m writing this blog post, I’m listening to the Horse Radio Network’s ‘all-ESMA’ episode with the founders and winners of the first-ever Equestrian Social Media Awards. It’s all good fun with hosts Glenn and Jamie, but there’s some real value for horsebiz professionals in looking at the winners and what they’re doing with new media. You can watch the ESMA ‘awards show’ online, a series of 5 videos with acceptance videos from the winners. The ESMAs also plan to release 2 ‘montage’ videos later this week, so we’ll see a bit from the equestrian finalists that weren’t selected as winners, but that are still doing creative, innovative, leading-edge work in equestrian industry new media. Get inspired by what other horse professionals are doing in new media. Gather ideas for what you can do in your own horsebiz new media efforts. See for yourself how new media is helping the horse industry get the word out about what they’re doing, and improving industry marketing and promotion efforts in connecting with current and new customers and fans to give the entire horse world a higher profile across the globe. A huge CONGRATS to all the first-ever winners, and an enormous THANK YOU to ESMA founders Liam Killen & Rhea Freeman, Horse Radio Network, and all the voters, volunteers, and supporters of the ESMAs – it will be fantastic to watch the ESMAs influence new media within the horse world. 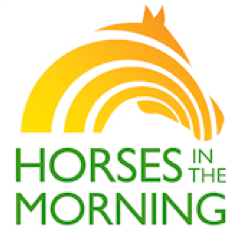 You can listen to the Horses In The Morning (HITM) show on Horse Radio Network LIVE on weekday mornings from 9 AM to 10:30 Eastern, and also via archived ‘podcast’ recordings at the Horse Radio Network website. Here’s the link to the March 14th, 2011, Horses in the Morning show featuring Liam Killen and Rhea Freeman plus many of the 2011 ESMA winners. Look for more from No Biz Like Horsebiz about the ESMAs and new media, and if you don’t want to miss anything, you can sign up to receive posts via your email. Do you have a question or comment about the ESMAs or new media? Click the Leave a Comment link below! Starting today, we find out the winners of the 2011 Equestrian Social Media Awards (ESMAs) – yippee! The ESMAs will have a series of seven videos (5 awards and 2 montage videos) showcasing the best and brightest of the equestrian social media community. I’ve just seen video #1, and it’s OUTSTANDING! Even if you don’t care who the winners are, it’s worth watching as an example of a well-done equine-oriented video; you can watch the videos this week at the official ESMA website. I feel honored and awed to be a part of this list of only 181 finalists – these are truly horse people who are transforming our industry through social media. And having a good time doing it. Here’s to all the winners, AND to every horseman & horsewoman getting onto their computer and mobile technology and connecting and sharing via Twitter, Facebook, YouTube, Flickr, and all manner of social and online media. In the end, it makes us ALL winners!